RCS Electrical Services is your Bradenton RV generator sales repair service installation and maintenance team. Contact us for all your RV generator needs. We are certified technicians for Generac RV Generator repair, Onan RV generator repair and Kohler RV generator repair. We are also certified to do Generac RV generator installation, Onan RV generator installation, and Kohler RV generator installation. Contact us for all your RV generator repair, RV generator service, and RV generator installation projects. Our technicians are dispatched to your location so that you don't have the inconvenience of driving your RV to us. We cover the entire Manatee county area, and can come to you anywhere in Bradenton Florida to repair your RV generator. We come to your site, check, diagnose your generator problem for a fee of $299.00 for gasoline or LP propane generators. The cost is $399.00 for RV diesel generator. This allows us to review your generator and determine, not only what the problem is, but if there are other components causing the symptoms the generator is displaying. If we find the problem and are able to solve it by making adjustments or calibrations to your generator's control system, we do it on the spot, with no additional charges. If your RV generator repair needs to have additional parts, then the technician will give an estimate for the work necessary to replace the parts and make a complete repair of your RV generator. A generator is an electro-mechanical device, and as such, it needs to be used regularly, as they can fail for just lack of use. RV's generators typically spend a great deal of time idle. Sometimes they are parked somewhere for weeks or months at a time. Many RV owners don't even start their vehicles regularly, let alone the generator. Often we don't even think of the generator until the moment we need to use it. It is a mistake to treat generators this way. 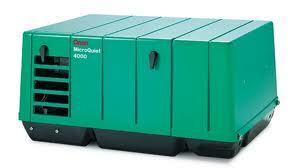 A generator that stays idle for a long time, is an easy target for insects, rodends, or other small animals. They like to nest, procreate, and chew on the wiring of these machines. Moisture, rust, and lack of lubrication can also disable an otherwise healthy unit. Lubrication happens automatically when the machine is being used. Otherwise moving parts just lay there rusting away. The moment you call the machine for duty, it breaks. We recommend that you start and run your generator once every two weeks, or at least once a month. This single act can add many years of trouble free life to your generator. Following this advise can save you money and help you avoid moments of discomfort and stress. A large quantity of Rv generator failures could be related to lack of proper maintenance and care. These units can be asked to work for days or weeks at time, and often we forget that they too need adjustment, calibration and maintenance. As a good rule of thumb, a typical Rv generator needs maintenance every 100 hours of use. 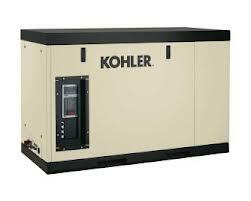 It is recommended that generators receive a complete tune-up every 500 hours of service. Other than these basic reasons for failure, the main culprit for break down is the fuel system. Fuel pressure due to pump failure, or regulator malfunction are typical causes for broken generators. Starter and starter solenoid malfunctions are often the case for needing repairs as well. These generators come in many shapes and forms, but mostly three manufacturers have produced the majority of the product for this application. At the moment Generac and Kohler have stopped manufacturing new units, but they support all existing units with parts and technical guidance. Onan is the only major manufacturer of RV generators at this time. 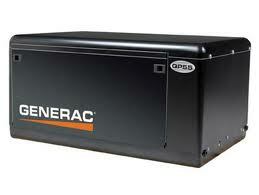 Onan, Generac, and Kohler are the main RV generator manufacturers in United States. We service the great variety of these RV generators. No mater what type of RV generator you need us to service, we are capable of repairing and providing parts or technical support for it. Anna Maria, Bradenton, Bayshore Gardens, Bradenton Beach, Cortez, Ellenton, Holmes Beach, Longboat Key, Myakka City, Oneco, , Palmetto, Samoset, South Bradenton, West Bradenton, and Whitfield.